2012 may well prove to be a pivotal year in the landscape of orchestral music in south east Asia with two of the region’s principal orchestra adopting very different approaches to their artistic future. A decade ago, the Hong Kong Philharmonic looked to be on its beam ends, artistically, financially and socially. Five years after the handover to China, it seemed as if this was a dying vestige of colonial occupation, an entertainment for the dwindling numbers of aging British expats and a home for musicians who had either failed to secure decent jobs in orchestras outside Asia or who had lost the ambition to move on. More than one pundit predicted that the HKPO was on the path to becoming a part-time band, calling in students to boost the dwindling numbers of professionals for occasional concerts. Then along came Edo de Waart. His appointment caused huge surprise amongst all those who didn’t know the full story. Why was such a highly-respected conductor allowing his name and reputation to be associated with a lame duck orchestra? Was it that, approaching retirement, he saw it as a sinecure to while away his spare time before finally handing in his baton? More cruelly, one player who had worked under him in the Netherlands asked, “Has he lost his reason?” We could not see how even such a respected conductor could turn around something which was anathema to most Hong Kongers. 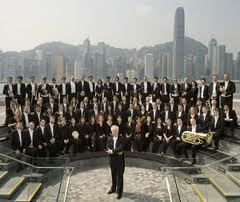 But, of course, the appointment of Edo de Waart as Chief Conductor in 2004 transformed the HKPO. He brought in experienced foreign players who knew and appreciated his methods, he revolutionised the programming to bring great mainstays of the repertoire back to centre stage and place them alongside new and adventurous works, he introduced opera in concert and a whole host of other ideas which suddenly turned Hong Kong into an attractive destination for music-lovers. He chose not to go down the path of recordings and international tours, which might have brought the orchestra more to prominence overseas, but instead built up the audience at home. He didn’t go the way of so many and, looking at the greying hairs and balding pates of his audience, strive to drive them away in preference for the younger generation. He understood that it is the mature who have both the disposable income and the time management skills to populate a concert hall, and he built up an audience base of dedicated and committed Hong Kongers, keen, possibly, to be seen as part of the wealthy elite, not always immaculately behaved by western standards, but undeniably enthusiastic and loyal to the orchestra. He didn’t ignore the young, and encouraged the HKPO to go out and about to schools and to involve itself in pioneering educational projects which have brought classical music into the lives of a very large number of Hong Kong students. But he realised that, pressures of growing careers and growing families make concert-going an impossible dream for those of a certain age, so had no shame in gearing the mainstream concerts to those who so often get pushed aside in the pointless pursuit of attracting youth. 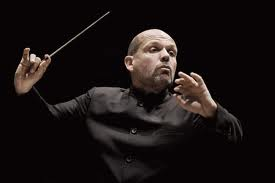 Now he has decided to leave the HKPO and fellow Dutchman Jaap van Zweden has been appointed his successor. This is an exciting and inspired appointment for it not only brings another outstanding international conductor on to the rostrum who will, I suspect, quickly place his own stamp on the programming and range of the orchestra’s performances, but is clearly a sign that they wish to continue and build on de Waart’s legacy. While some incoming music directors elsewhere have almost gone out of their way to expunge the legacy of their predecessors, one is confident that van Zweden will not do this. And, as such, the future for the HKPO looks not just assured but exciting as well. Compare that with what has happened to the Malaysian Philharmonic. Last week it decided to axe several key players, among them fine musicians who had been with the orchestra since its inception and who are, in their way, almost as iconic a feature of the MPO as the building in which they perform. Their departure, along with a growing list of key players who have resigned or left when contracts have expired, is leaving a very desiccated orchestra; a miserable ghost of what it once was. Of course, any orchestra is far more than any single individual, be it a CEO, a musical director or a rank and file second violinist, but such wholesale cuts of valuable personnel sends out a very worrying signal as to the future of this once great orchestra. Again going back a decade, it’s almost inconceivable how the MPO has changed. In 2002 it was riding high on the crest of a wave, hailed by many pundits as not just the finest orchestra in Asia but potentially one of the world’s great orchestras. After a spectacularly successful collaboration with the BBC Symphony in the only BBC Proms to have been franchised outside the UK, serious discussions took place about how soon the MPO could be invited to London to perform and broadcast there. One British critic attending the KL BBC Proms suggested that a “cigarette paper” separated the quality of the MPO from that of the BBCSO. And then it all went wrong. The MPO has always suffered from unusually inept management. If the management understood the orchestra, it didn’t understand the Malaysians, and vice versa. To be fair it’s not an easy task for, along with the obvious problems of a perceived “western” art form being housed in the east, there is the added complication of the influence of Islam which, in Malaysia, tends to consider classical music as anti-religious. But even so, huge mistakes were made. Experts in the management office were replaced by time servers, and it has long been a standing joke amongst the orchestral community that none of the key management staff of the MPO have ever attended a classical music concert. Indeed, there is a famous story about how a Marketing Manager actually confessed on radio in the US that he didn’t actually like music. On top of that, the musicians themselves have often failed to understand the sensitivities involved and have done themselves no favours by boorish and insensitive conduct. All this came to a head and set the MPO on the downwards spiral that has continued with only occasional interruptions for the past seven years when founding music director, Kees Bakels, announced his decision to step down. In retrospect, it was a premature decision, but at the time, it was handled so utterly catastrophically that the orchestra has never recovered. A high profile appointment as successor made an even higher profile departure before ever picking up the baton, and Bakels returned as a stop-gap while management looked desperately around for a replacement. When, eventually, Matthias Bamert was appointed, morale was so low, confidence among players so weak and the climate so hostile, that he was unable to mend the fences that needed to be mended. On top of that came the abysmal performance of the then CEO who failed spectacularly to respond to political and social criticism of the orchestra’s ethnic makeup (“Why call it the Malaysian Philharmonic Orchestra when there aren’t any Malaysians in it?” was the appallingly stupid clarion call of the lunatic fringe who took to MPO-bashing). Instead of the obvious answer – “We provide the best for Malaysians, not the best of Malaysians” – she capitulated and hastened the orchestra’s decline by promising to bring in local players. Since its creation in 1998 the MPO had been the first and only professional orchestra in Malaysia, so there was no pool of good local professionals to fill the seats, and while Bamert pressed for the creation of a youth orchestra to build up such a pool, he failed to realise that the Mad Mahathir’s inane “Malaysia Boleh” sound-bite meant that all Malaysians believed that if you said something, it was immediately fact. Even before the MPYO had struck up a note, people were suggesting they could go straight into empty seats within the MPO. And that is probably what is going to happen now. Professional, qualified and experienced players replaced by students whose enthusiasm is not matched by their competence. An orchestra which, instead of fulfilling the late, great Tan Sri Azizan’s dream of showing the world how Malaysia could attract the very best, shows the world how it as a land where native mediocrity is celebrated as the ultimate ideal. I have a proven track record in getting predictions wrong, so I hope that I live up to my reputation in part here; while I really hope the HKPO will go from strength to strength under Jaap van Zweden, I earnestly hope that the MPO will pick itself up and resume its place among the great orchestras of the world. 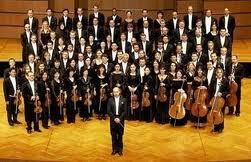 Asia needs great orchestras and it needs great people to manage, direct, play in and listen to them. Thanks for the article. I'm a Malaysian studying music in the United States. I have been very concerned about the MPO's current situation since I heard of what happened recently. Although this article doesn't ease my worries, but I'm glad that at least I get to know about some of the truth now. I personally feel that this is some sort of a wake-up call (at least for me). It actually makes me think: As a music major, what can/ should I do other than practicing hard everyday in the practice room? I feel sad with this incident. I hope that the MPO musicians know that there are tons of people out there (including me) appreciate the music-makings from them so much over the years. We DO care even though the management or CEO or whatever do not. "Professional, qualified and experienced players replaced by students whose enthusiasm is not matched by their competence. An orchestra which, instead of fulfilling the late, great Tan Sri Azizan’s dream of showing the world how Malaysia could attract the very best, shows the world how it as a land where native mediocrity is celebrated as the ultimate ideal." But what you said about the general attitude of the MPO management is spot on, an as a long standing supporter of the Malaysian arts scene i applaud your bravery in bringing to attention to the public what is happening behind the curtains. As a former employee of the MPO yourself you probably know much more and can write much more. Keep doing it! Point 1: You refer to the 'demise of the NSO'. It is my understanding that the NSO is actually doing VERY well these days. In fact, over the past year, I understand that the orchestra has suddenly and suspiciously expanded it's personnel dramatically to a full core (from chamber orchestra to full size orchestra). This is particularly interesting because they are currently not playing any more concerts than normal. Could this possibly be because they are preparing to do more very soon?? Perhaps in a new venue?? Point 2: Qualified properly-trained musicians come from education at a proper music school. When the MPO was started, the initial plan was to have a conservatory in tandem at which members of MPO would properly train Malaysian talent. The space for this conservatory was already identified (now the Impiana Hotel across from the convention center) and the money was all there and ready to go from a private donor. At the last minute, the 'higher ups' decided that they didn't need such a conservatory in Malaysia for Western music. The private donor then donated the money to the National University of SIngapore and the Yong Siew Toh Conservatory was built with those funds. This is a Malaysian tragedy in itself. The bottom line is that the musicians of the Malaysian Philharmonic were in Malaysia FOR Malaysians. Their management tied their hands and made it extremely difficult for them to reach out to the community for reasons that remain unknown. But the musicians themselves are not at fault for this as it has always been their desire to integrate with and feel relevant to the community within which they lived for so many years. My heart goes out to all of the MPO musicians as well as to all Malaysians. This is a terrible loss for all. I have to say you are wrong in two key statements you make. Firstly, the decision not to create a conservatory in KL was not made by anonymous "higher ups". It was made on a panel recommendation (of which I was a member who fully supported our final recommendations) which saw, after extensive researches, neither sufficient students nor teachers in the country able to support it. We felt that there needed to be a more active musical environment for it to be feasible. Secondly, NO FUNDS were transferred from Malaysia to Singapore to build the Yong Siew Toh Conservatory. ALL the money came from a private donor who had no intention of donating money to a conservatory in KL in the first place, and from the Singapore government. In fact, through subsidising its own Malaysian students, YST is giving rather more financially to Malaysia than Malaysia has given to it! I knew that this gonna happen, I am agree with one of the comments, MPO needs some new talented Malaysians for the coming decade. We all knows there are not much malaysian professional musician, and most of them already well establish in oversea. Therefore, one of the main purpose of MPYO is to train and build another young and talented generation to substitute the empty seat. We can't always depends on the western ppl to play for 30 years in Malaysia. I really appreciate and respect for the professional malaysian musician who willing to come back to contribute their knowledge to the next generation. Music needs to be grow in the society! You will all be pleased to know that a state of the art new conservatoire is being built near KL. It will be a branch campus of one of the UK's top conservatoires and is set to launch in September 2013 to serve the South East Asian region. Unfortunately, although approaches have been made to the MPO management to put together a collaboration similar to that enjoyed by, for example Guildhall and the London Symphony Orchestra or Birmingham Conservatoire and the CBSO, the MPO have steadfastly refused to allow negotiations to commence or to acknowledge that contact has been made. A senior member of the management was actually heard to comment recently "I don't know why we need to collaborate with a conservatoire". So there you have it. Perhaps the new conservatoire will end up collaborating with the SSO instead. How embarrassing would that be? I have spent the past 10 days asking around and making extensive enquiries about this, following tenuous leads and barking up blind alleys. While lots of people seem to know about it via the grapevine, none has any first-hand hard facts. I am forced to the conclusion that it is a figment of your imagination! Paul, maybe not the best time or place to be plugging the new conservatoire. 9 musicians who have made their home in Malaysia for over 10 years were just fired for no just reason and one of the world's greatest orchestras is being flushed straight down the toilet. And the SSO collaborating with a UK sattelite conservatoire based in Malaysia (which wouldn't happen because they're already affiliated with Yong Siew Toh) would certainly not be any more embarrassing than Malaysian's losing their world class orchestra to ignorance, corruption, and greed. How about someone getting up from behind the computer and actually doing something in real life to save this orchestra?? Somebody?? I'm not Paul but I know him. Perhaps corporate Malaysia at large can be persuaded to back a full professional orchestra. Leaving the future of classical music in Malaysia in the hands of one company with shifting priorities and motives seems highly dangerous and makes disaster almost inevitable at some point. The MPO is an arts institution that was intended to serve Malaysians for many generations to come. It's less than half as old as the youngest orchestra on this list and it's being destroyed. Not fair. Bad news, sad story. I still remember attending a concert featuring Alpine symphony in 2010 by MPO with Marc as the organist, conducted by Claus Peter Flor. Maybe MPO was on top form that night? It was much to my taste when compared to SSO and YSTCO's recent take. I used to travel to KL for visiting orchestra or MPO concerts once or twice a year. Last year was the first year I didn't go KL for concert. Fortunately, SSO has a splendid program this season. Just hope they will be on form more nights. While this is a tragedy for both Malaysia and the former members of MPO, it is also a lesson for all of us working in orchestras as to what can and will happen when the people who have the power and run the orchestra do not understand the culture of an orchestra, or its reasons for being, and do not plan for succession and continuation. Across the world orchestras are being asked to work more like businesses. Orchestras are increasingly run by CEOs, and Boards, and influenced by politicians who do not go to orchestral concerts, and admit they do not like orchestral music. Unfortunately there are also the well-meaning dilettantes who think they understand and push their own firmly believed agendas,not listening to their players and more experienced staff - often sweeping those experienced people out of their positions claiming it is "old thinking" which needs replacing. The people who pay the price are of course the musicians, the staff who love their work and give more than their paid time, the audiences, and ultimately the culture of the city or country. Go back to consulting with the players and creating an orchestra that is "for the people", play main stream rep alongside exciting new and even old unknown works. Does anyone really care how many "foreigners" are in orchestras these days? How many "foreigners" work in national institiutions right across the world? It's the way of the world and if the best way to deliver to the public music of the highest standard (which is ultimatley what it should be about) is to have an orchestra made up of all "foreigners" then so be it. The best available players should sit in the orchestra. As a Londoner who has football teams managed and populated with non UK people (including two ex managers of our National Team), orchestra's full of non UK players, UK companies headed up by non UK people it is a total anathama to me to attempt to fill any organisation with sub standard players/management or workers. Until Malaysia eductates it's young musicians to a level that means they are capable of holding a place on merit in a good orchestra there is nothing to be done apart from enjoy your orchestra and support them. Musical education to the level that is required to compete in the orchestral world is expensive and needs government committment. The MPO is going through difficult times, okay, but it's really not that difficult to see how to put it back on the right track. Thank you Mark for your comments on this sad affair. I've been a subscriber for most of the life of the orchestra and there are many high sports in my memories of concerts I've attended. I've enjoyed the sight of Paul Philbert leaning enjoying the music as he waited for his 'turn', watched Wolfgang Steike and his double bass and tried to guess his height, Marcus Gundermann getting everyone ready. I was most disappointed to find you name no longer on the programmes this year, I have kept them from concerts over the years, not just because of the content, but because of the knowledgeable and engaging way they were written. What we get now are thin little cut and paste efforts. No one has mentioned the MPO Outreach programmes. They were a wonderful initiative and i was witness to many of their encounters as they went into schools to 'spread the word (music)' I was very worried that there was something going on behind the scenes and I have noticed dwindling numbers in the seats on both sides, orchestra and audience. The dress code has been changed this year to smart casual. Despite 11 Corporate Suite members being listed in the programme, I seldom see anyone in any of the boxes along the upper levels. Is this where they are supposed to sit? The lack of genuine support for cultural development among corporate Malaysia is rather low, and although many parents send their children for music lessons, they would be aghast at the idea that they could actually take up music professionally. This is surely one problem hampering the development of a Malaysian component to the orchestra. I know a couple of the families of MPYO members, they aren't encouraging their children to be professional musicians either. I truly hope some good sense will prevail and a rethink and revamp will happen which allows some if not all of the musicians to stay on and the Outreach programme to be reinstated to encourage wider understanding in the community and attract younger people to concerts and the world of classical music.